A false and defamatory statement published about you or your business does not necessarily translate into a valid legal claim unless you can prove actual damages arising from the defamatory statements. There are classifications of libel and slander, often referred to in many jurisdictions now collectively as defamation, that will allow a defamation claim to proceed without proof of actual monetary damages, under what is known as the doctrine of presumed damages that suggests that there is at lease some harm to reputation that results from the publication of defamation without necessity of proving actual monetary harm. 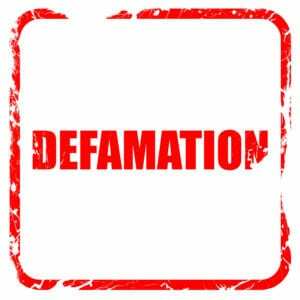 Usually, but not always, the published defamation must be classified as defamation per se, which comprise special categories considered under the law as particular harmful defamation. False statements imputing lack of chastity to a female, impugning business reputation, falsely alleging a loathesome disease, or falsely accusing one as guilty of a criminal act, are traditionally considered defamation per se where no actual provable monetary loss is required in order to pursue a defamation claim. Some states such as Missouri no longer have defamation per se categories and require proving actual or special damages in order to recovery in a claim for defamation. California and many states continue to recognize all four traditional defamation per se categories of defamation under which damages may be presumed, though some states further restrict damages so “nominal” damages if actual or special monetary damages cannot be proven. Other states take a middle ground approach and adopt some but not all traditional defamation per se categories such as Michigan which recognizes lack of chastity or false claims of criminal conduct as defamation per se claims but importantly not claims relating to business reputation which in Michigan requires proof of actual or special damages. If you file your defamation claim you need to be aware that unless it fits into a defamation per se category that merely alleging false and defamatory statements is not enough, and that you will need to plead and prove actual damages to sustain you defamation claim which in many instances is not an easy task. A thorough review of your defamation claim is advised before investing the significant funds required to engage in a lawsuit to insure that you will be able to prove the damages necessary to succeed in your defamation case.